The Paromat system is more convertible than any other linear transfer system and compatible with workpiece carriers from 200 x 200 mm to 400 x 500 mm in size. 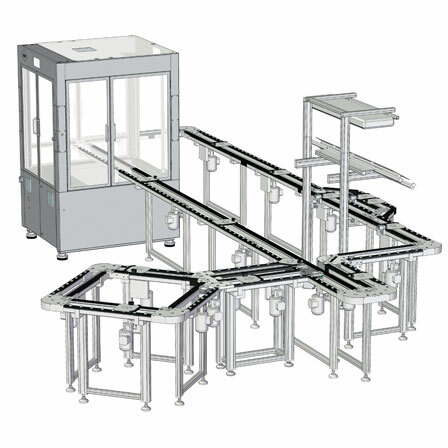 Thanks to a wide range of standard components, assembly systems can be freely planned – however large or complex they are. Paromat systems have a long life span; we have spares of all standard components in stock.